Do Your Health, Relationships and Faith Feel Out of Balance? Do your health, relationships and faith feel out of balance? When your physical health is off-kilter, it affects your mental and spiritual health, too. 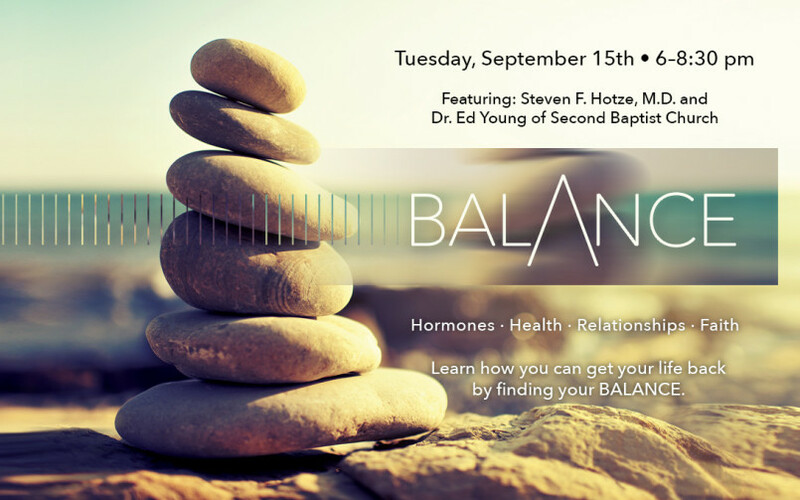 On Tuesday evening, September 15, 2015, Dr. Steven Hotze, founder and CEO of Hotze Health & Wellness Center, and Dr. Ed Young, senior pastor at Second Baptist Houston, are teaming up in an inspiring event to share how you can bring your life back into balance.